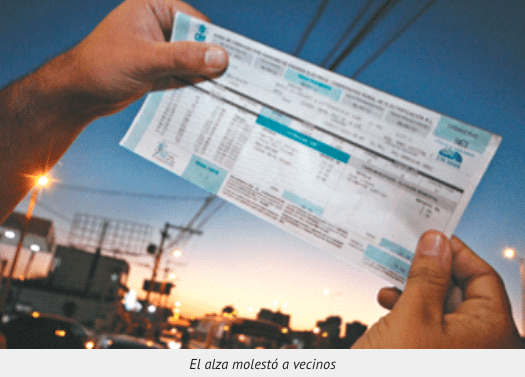 Neighbors of the city of Santa Cruz yesterday used social networks to complain about the increase in electricity rates, up to 50% more than usual. Given that, the Rural Electrification Cooperative (CRE) said that at no time did it raise its rates, which are regulated by the State. Carmelo Paz, general manager of the CRE, said that the increase in bills is due to the high consumption incurred by users.He explained that the average consumption is 350 to 400 kilowatts, but that this range rises at the end of the year, when temperatures rise. The executive recommended users to control consumption and said that the organization is organizing a campaign for users to make efficient use of energy and not pay high bills. Government, at all levels, does very little to keep our forest coverage, citizens that change residence, mostly from the highlands and valleys, do not know how to preserve trees that give beauty, like flowers let alone shadow … we are becoming a regular hot, semi-dry place where living will be harder and more expensive. The solution lyes in the hands of families, we need to preserve our environment and be more practical and ingenuous to cope with hot weather.